Google has just updated the Beta channel of its Google Chrome browser to 15.0.874.54 for Windows, Mac, and Linux. 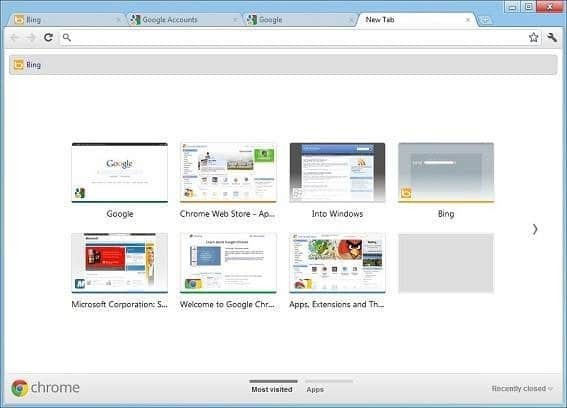 With Chrome 15 Google has introduced the new New Tab page. 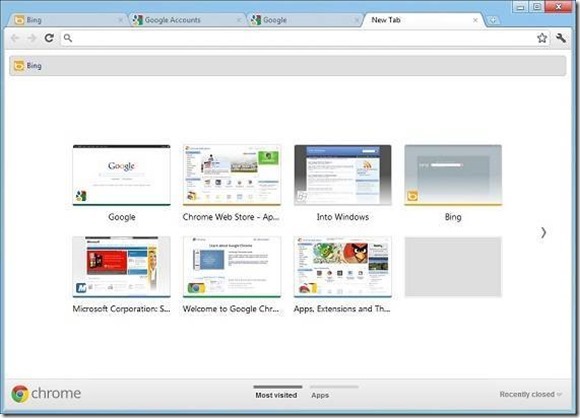 The redesigned New Tab page helps you manage your bookmarks, most visited sites, and Chrome apps. This release includes a number of crash fixes, it also fixes a problem where the wrench menu bottom border truncated in Windows 7 32-bit versions. Visit the link provided at the end of this article to download the latest version of Google Chrome beta version. Visit this page to read full details about the changes in Chrome 15. The latest version works fine on both x86 and x64 versions of Windows 8 as well.